The BradyPrinter i5100 Industrial Label Printer provides the fundamental print capabilities needed to get high-volume and high-mix projects done. 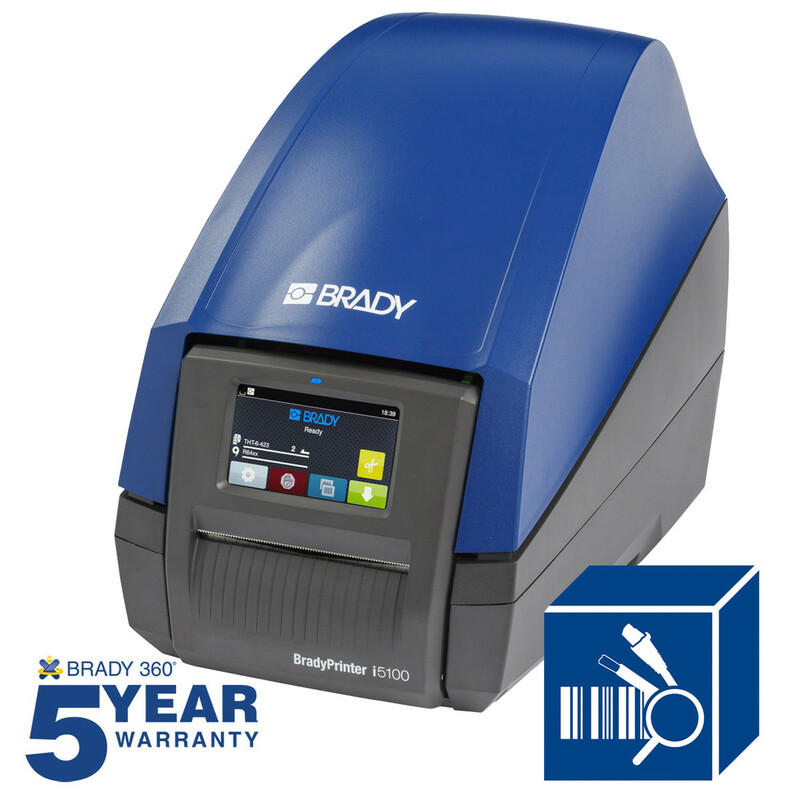 Brady (NYSE:BRC), a global leader in industrial and safety printing systems and solutions, announced today the launch of the BradyPrinter i5100 Industrial Label Printer. This new industrial printer provides the perfect mix of smarts and performance for an easier, more productive printing experience. Simple setting changes. The intuitive touchscreen allows you to quickly and easily change settings on your printer. Full-performance printing. This printer provides all the essential features you need for high-performance printing. Intelligent Print (IP) technology. Take the guesswork out of material changeovers and set up with materials and software that communicate with the printer so you can get back to work faster. The i5100 printer features an intuitive touchscreen control panel with colorful icons, buttons and sliders to navigate between screens, make printer setting changes and understand the printer status with ease. This printer also has specially designed ribbon spindles and self-centering roll holders that lock into place without any clumsy extra steps. The IP technology options allow Brady IP-enabled materials and ribbons to communicate with the printer and design software to make label set up and creation fast and easy. Learn more about this new printer at BradyID.com. For the complete product offering from Brady, visit BradyID.com. Brady Corporation is an international manufacturer and marketer of complete solutions that identify and protect people, products and places. Brady’s products help customers increase safety, security, productivity and performance and include high-performance labels, signs, safety devices, printing systems and software. Founded in 1914, the Company has a diverse customer base in electronics, telecommunications, manufacturing, electrical, construction, medical, aerospace and a variety of other industries. Brady is headquartered in Milwaukee, Wisconsin and as of July 31, 2017, employed approximately 6,300 people in its worldwide businesses. Brady’s fiscal 2017 sales were approximately $1.11 billion. Brady stock trades on the New York Stock Exchange under the symbol BRC. More information is available on the Internet at http://www.bradyid.com/corporate.